There's something so joyful about beginnings, it's indescribable. The start of my childhood vacations are as clear as day to me. All I could visualize were mornings spent sleeping in, a backyard full of possibilities and more popsicles than my hands could hold. While those days are now a wonderful memory; I'm still enamored over so many blissful beginnings. This time however, they are different kinds of beginnings. Like the onset of sale season, where there are racks of clothes as far as the eye can see and the anticipation of trying it all is heightened. Or that exact point on a Friday night where the weekend is beckoning with thoughts of bottomless brunches, spa days and dance parties. The beginning of summer felt just like that. With the sun shining down on me, all I could envision was cocktails served in mason jars, a wavy bob for days and my shoulders catching some sun. 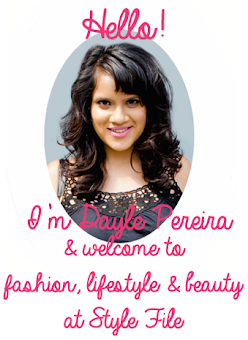 While the time has now come to give the summer a teary goodbye, I'm reminiscing about the beginning. I'm going back to the time when sunglasses were an expected accessory and no amount of florals were an overkill. 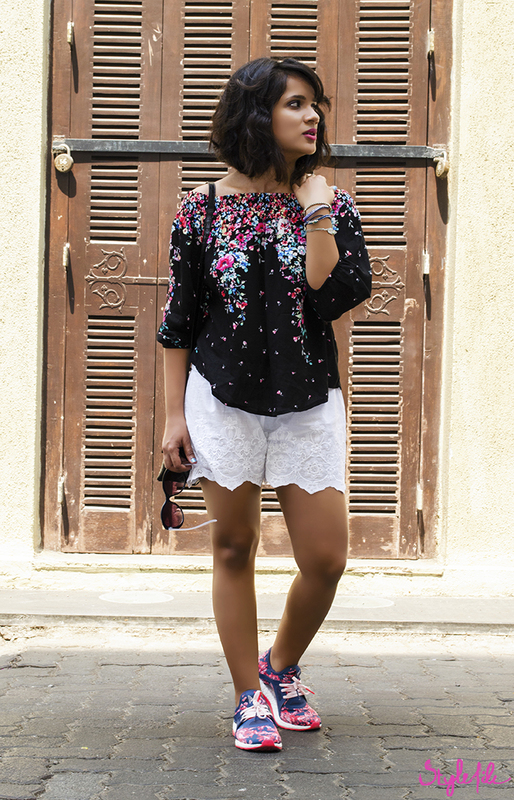 My summer loving enthusiasm needs no introduction so this look was a sort of farewell to my favorite season. While cold shoulders are all the rage, I paired the trend with an abundance of florals, miniature accessories and delicate shades. So as the summer bids adieu and it's time to safely keep away my sneakers, maybe it's time for a new beginning like a brand new season with foliage glistening under the raindrops and sudden showers. I may not get to wear my whites as much as I'd like to or I may have to add an umbrella to my staples but you never know what wonderful beginnings have in store. 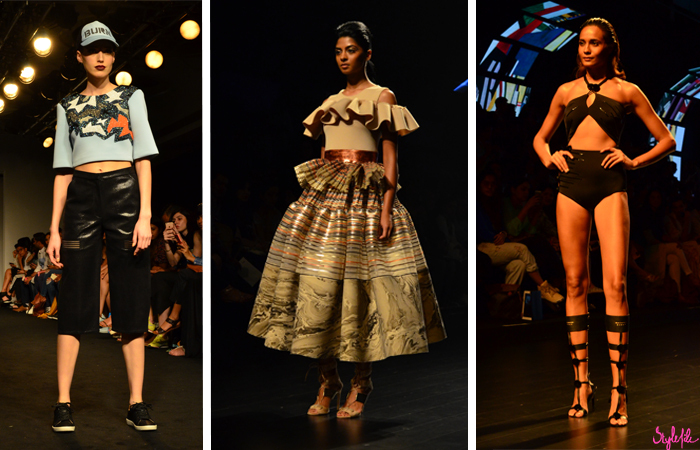 While keeping watch for what's scorching the runway at Lakmé Fashion Week, sometimes there's a lot that unexpectedly catches the eye. Maybe it's the Bollywood celebrity that stole the show or the woman whose animal-centric outfit rivals a cheetah. Whatever the case, fashion week is one of those times when attention grabbing statements happen in quick succession; maybe even a few times in one morning! 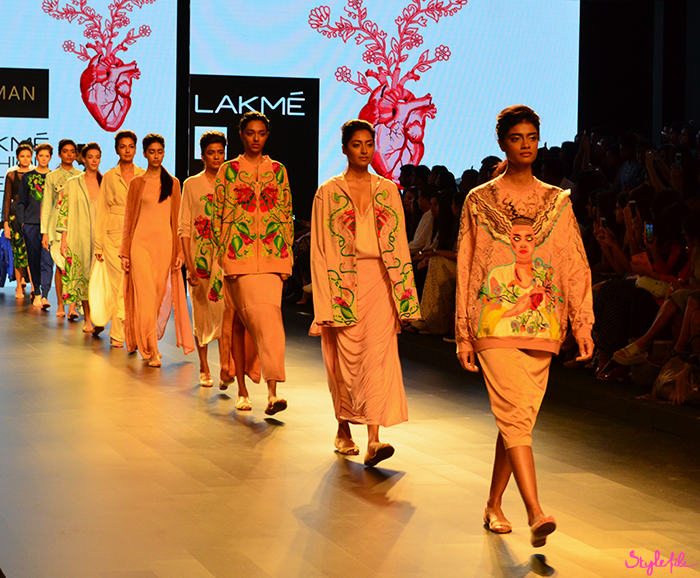 With my eyes peeled to the runway, this time it was the fabulous fashion pronouncement made by various Indian designers. With each day proving to be yet another 24 hours to make a statement on the runway, these are the handful that had me sit up and take notice. 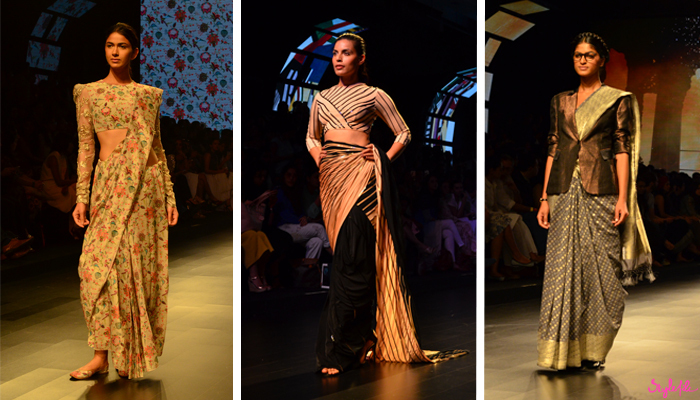 While layering in hotter climes may not always seem like the most practical thing to do, Lakmé Fashion Week certainly made it look good! 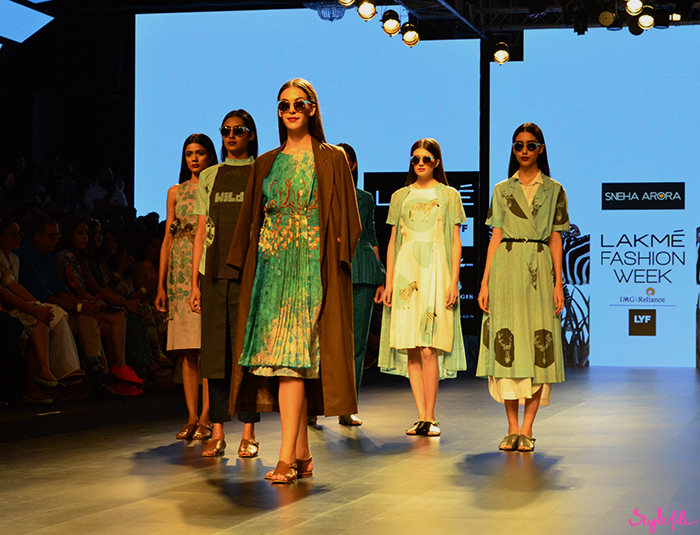 Sneha Arora's light coats, [Ka][Sha]'s tie-dyed take, VERB's feminine wraps and Nishka Lulla's flowing layers were proof enough that if you want to add depth to a look, all you need to do is turn up the layers. Sometimes an outfit serves the purpose of a canvas and the minute details are the brushes that bring life to it. 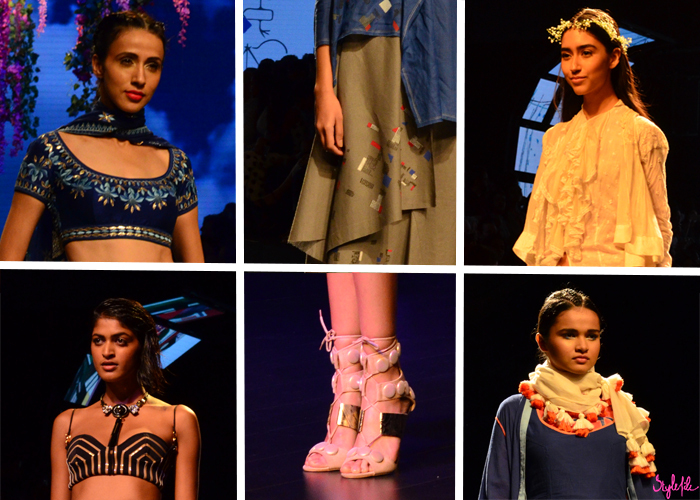 Case in point is the intricate embroidery from Anita Dongre and flower girl-esque accessories by Péro. 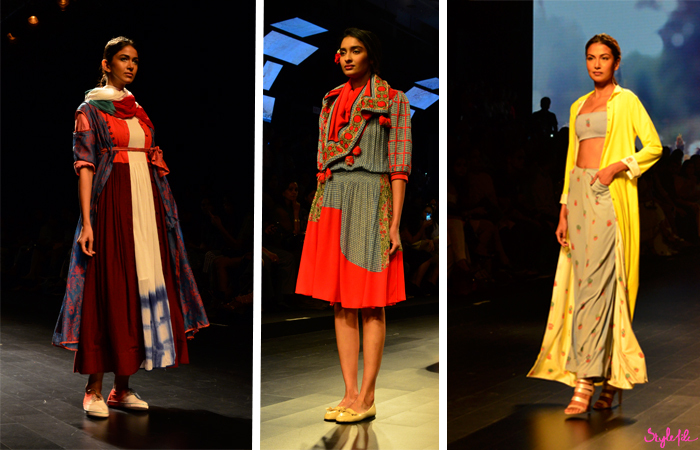 From striking footwear by Shivan & Narresh to tasseled hems by [Ka][Sha], this was definitely the time to take note of the minuscule details. In the case of Amit Aggarwal's delightful pencil shaving ruffles that covered the entire garment, it was the complete dramatic outfit that spoke volumes. 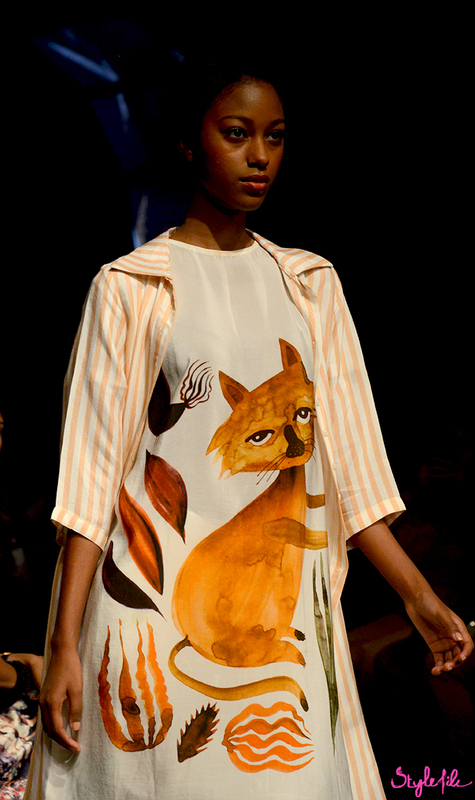 You'd be surprised to know that this season, animals took over the runway. Not literally, of course. It seemed like designers were answering the call of the wild as their collections were peppered with animal inspired prints, textures and motifs. Aartivijay Gupta's delightful fairy tale creatures made me reminisce Enid Blyton's briar rabbit books. 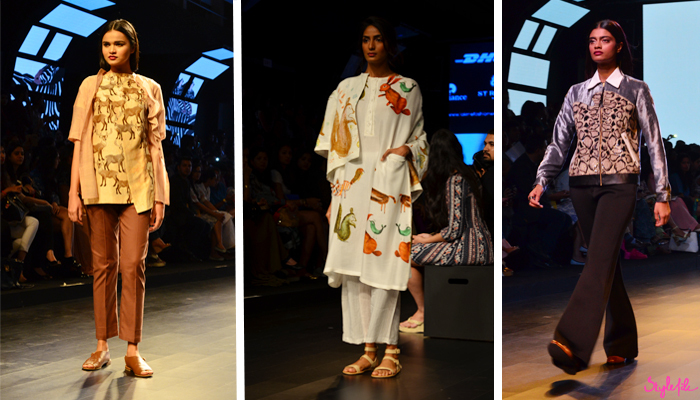 When we've got Sneha Arora's zebras and Huemn's jungle cat vibe, who needs an African safari, am I right? Since the beginning of time, eyeball grabbing prints have always been a constant fixture at fashion week. This time was no different. 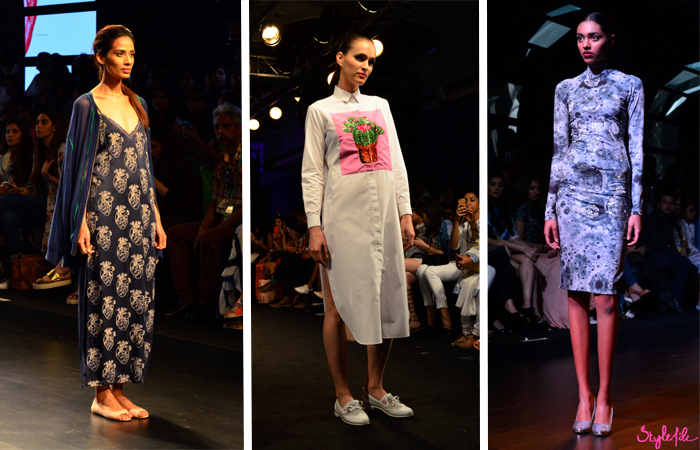 Prints like that of a human heart by Aiman, a pop art cactus by Siddhartha Bansal as well as moon craters by Surendri were popping up all over the runway. Nothing like a little whimsy to liven things up, don't you think? The saree is such an integral part of Indian culture so as we embrace modernity, we can trust Indian fashion designers to re-imagine the whole 9 yards in new, fantastic ways! 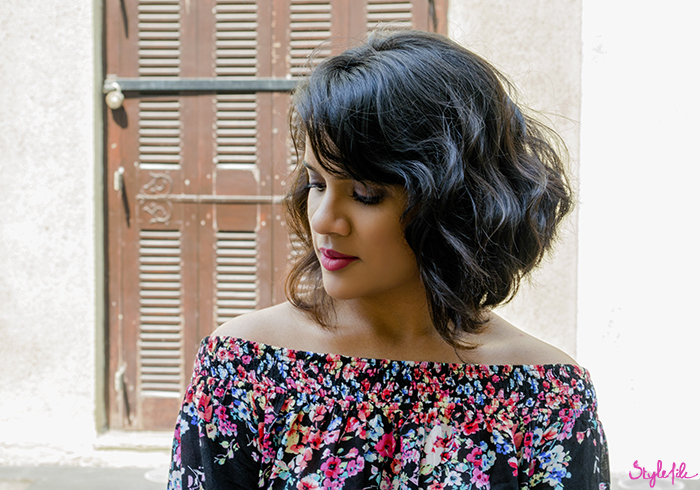 From blazers worn as a blouse to mono-printed creations by Payal Singhal, there's no better time to be a part of the fashion world than right now. 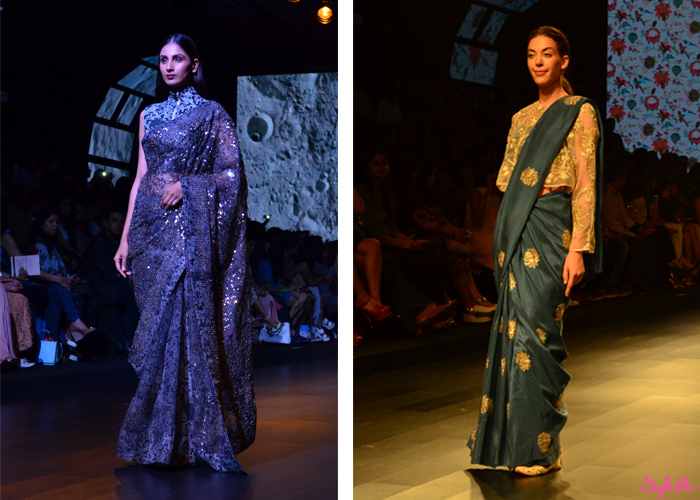 Perfectly rooted in tradition while staying contemporary, the reinvention of the saree shines bright and bold.